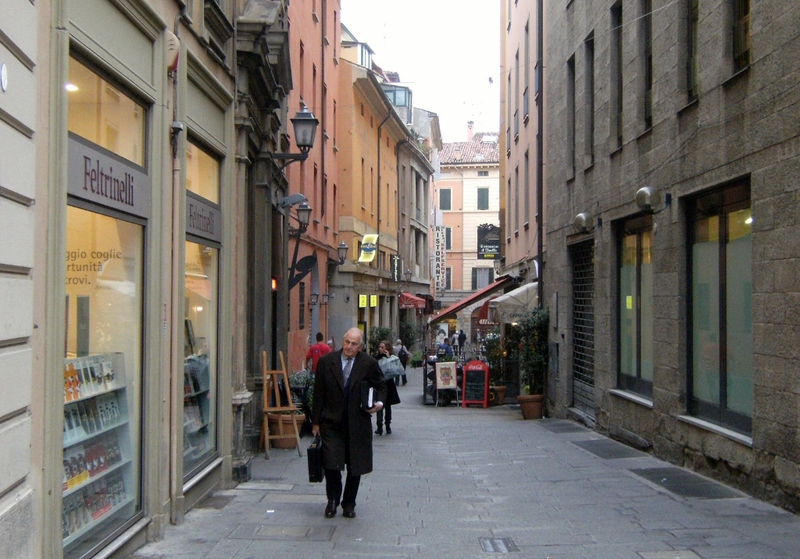 Only 35 minutes apart, Bologna is less touristy, or at least less crowded, than Florence with similar piazzas and boutiques, but maybe a few less famous cultural monuments. 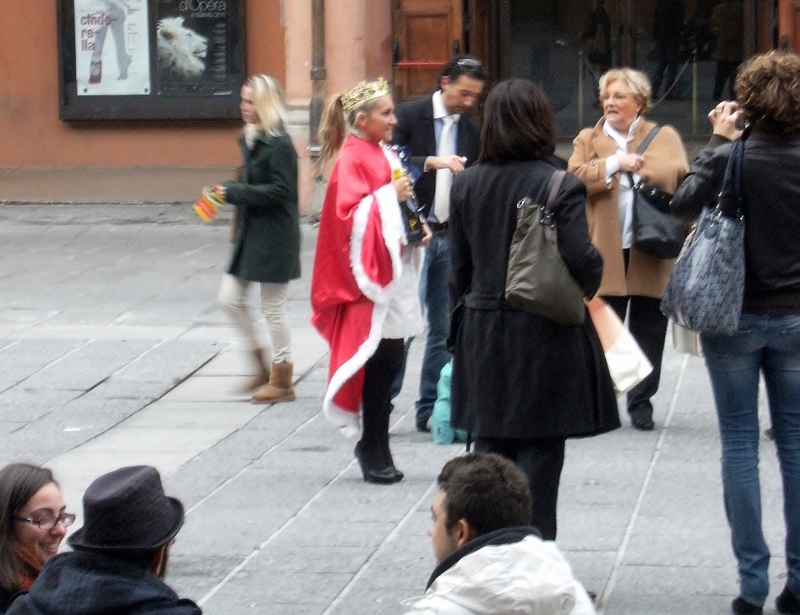 There’s no David in Bologna. Parts of the city seem a little neglected. 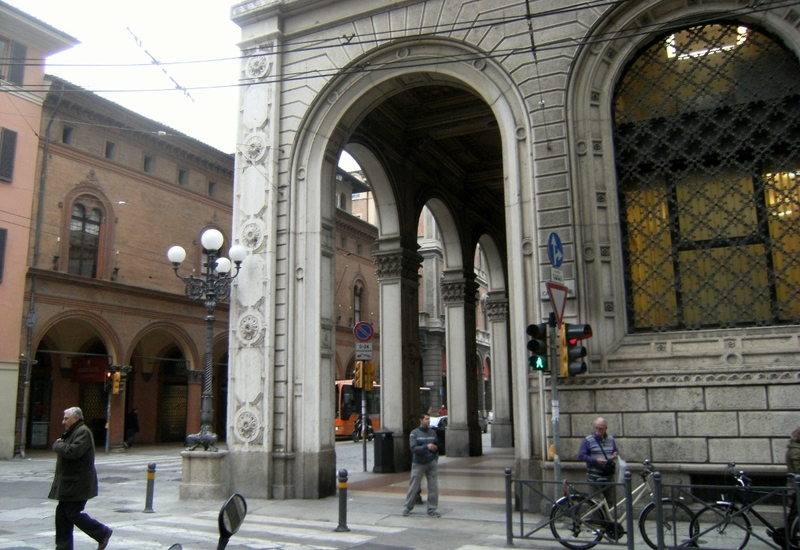 Bologna does have porticoes, though, making it nicer to visit during the rain/heat. 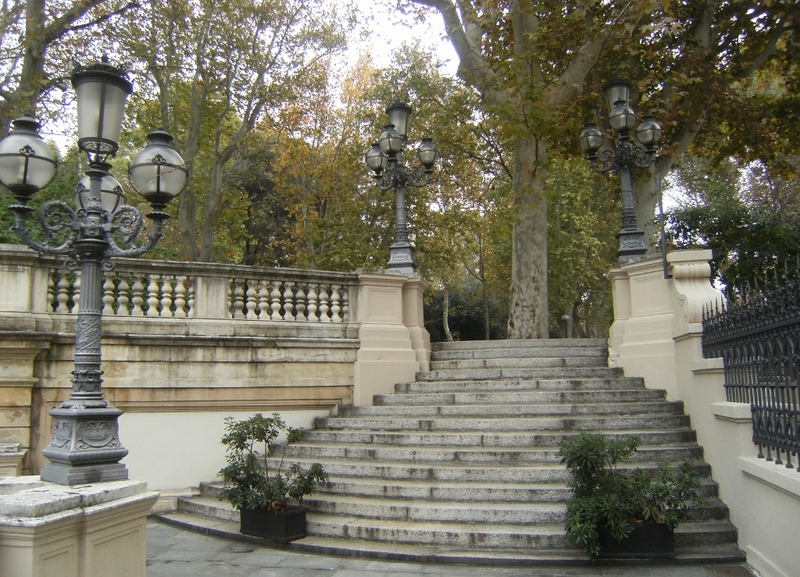 Bologna’s Central Park. Better to visit during the day. A medieval gate. The remnants of an old wall that used to surround the city across from Montagnola Park. 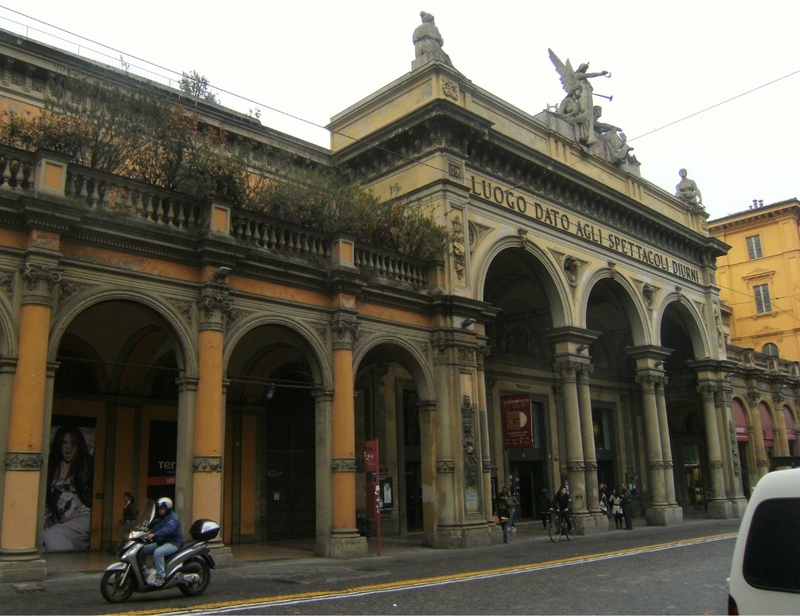 “Maggiore” means “greater” in Italian and this piazza holds up to its name. An Italian man pontificates on a step stool to a meager audience like you’d find on a college campus or at First Friday. 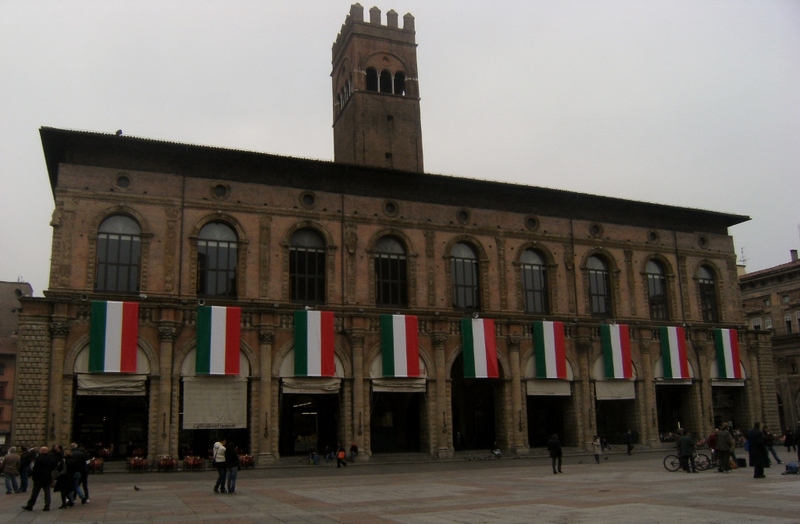 Not many people relax in the piazza compared to il Campo in Siena. 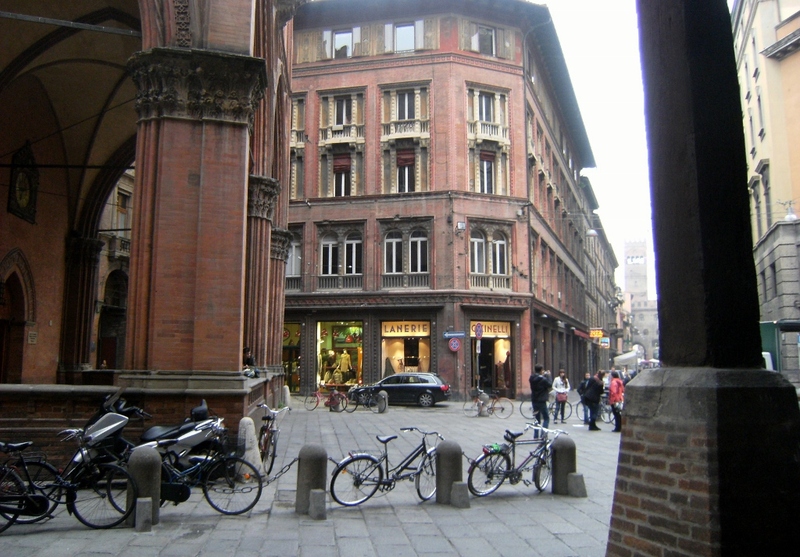 Piazza Maggiore is a thoroughfare. Commuters crisscross in the center on bikes or on foot. 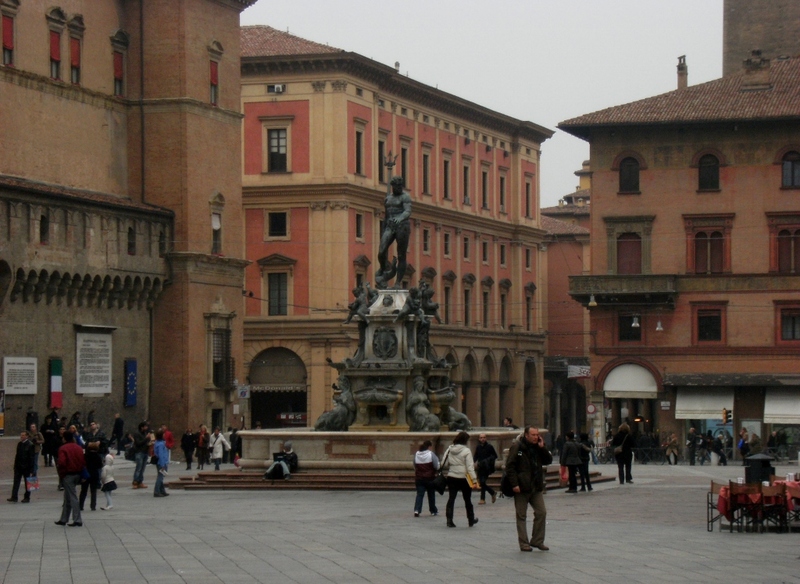 The Fountain of Neptune (Poseidon) is technically in Piazza del Nettuno, but it’s all connected to Piazza Maggiore. 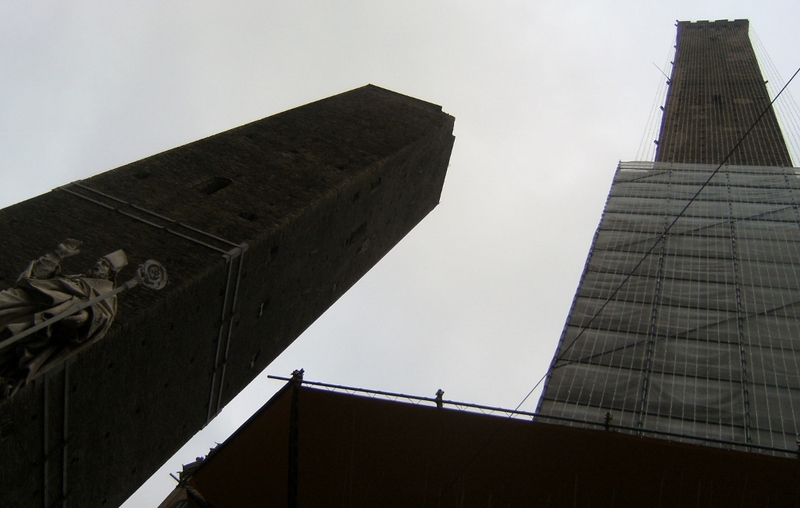 Bologna once had around 180 towers, over twice that of San Gimignano! Today, a handful remain, the most famous being the Two Towers. 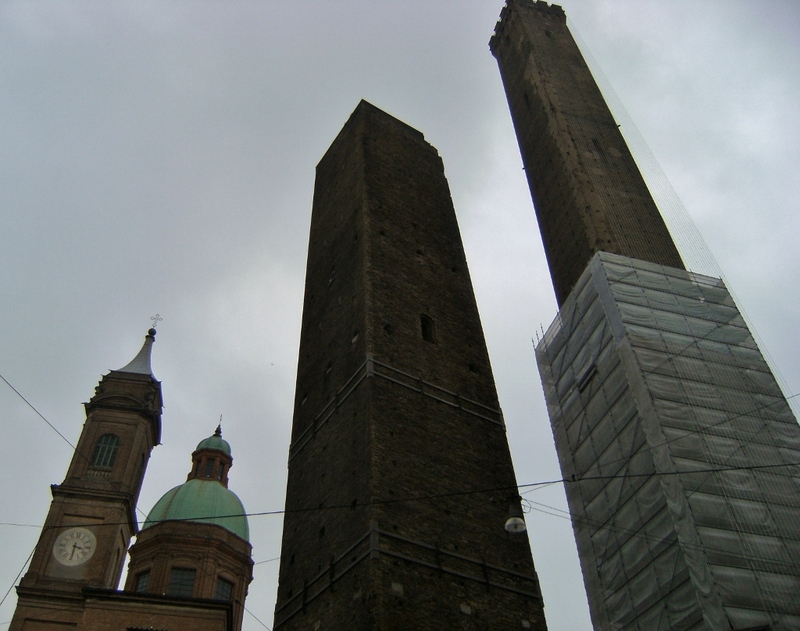 A statue of Saint Petronius, the patron saint of Bologna stands at their base. The oldest university in the world. 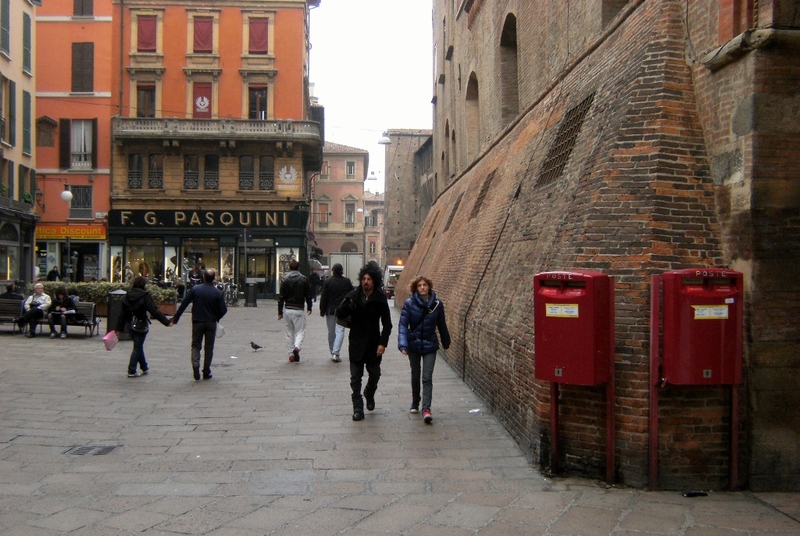 Established in 1088, the University of Bologna is eight years older than Oxford. I happen to walk by the Law School during the end of their graduation ceremony. The grads are dressed in robes like queens and wear floral wreaths on their heads. 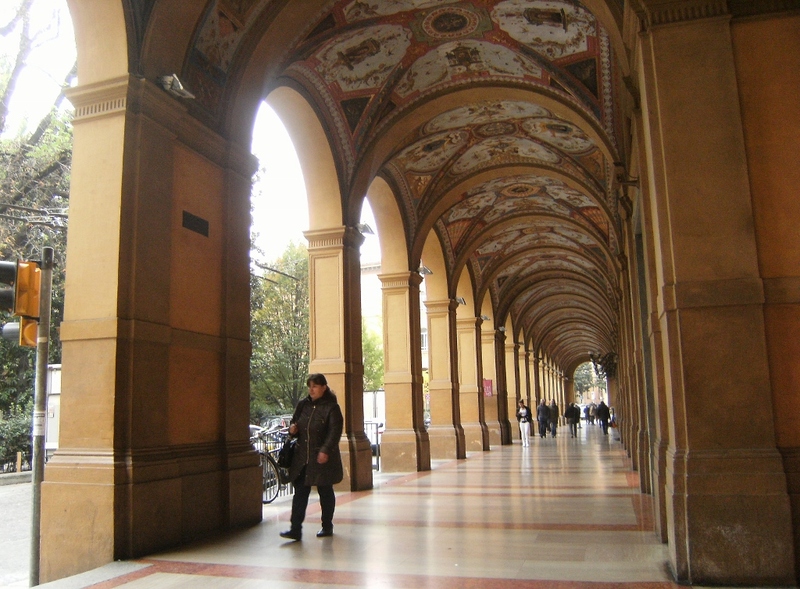 They run down the porticoes to Piazza Giuseppe Verdi. Everyone’s shouting and cheering along with their family members (and me..).